As the official media agency for the Ontario Fury,part Major Arena Soccer League, we provide a full array of services. Part of these services include supporting media for campaigns and internal/ business to business video. The 2017-2018 season is upon us, and the Ontario Fury Driven by Mark Christopher Chevrolet is now offering sponsorship opportunities. We created this video for use across various platforms, email, social media, web-pages and mobile. 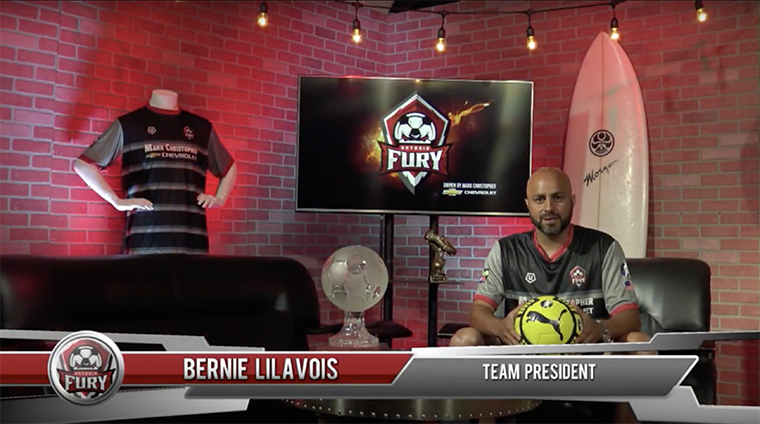 Our studio was customised for the purpose of a dedicated and branded set for Team President Bernie Lilavois to address his audience and convey his message.